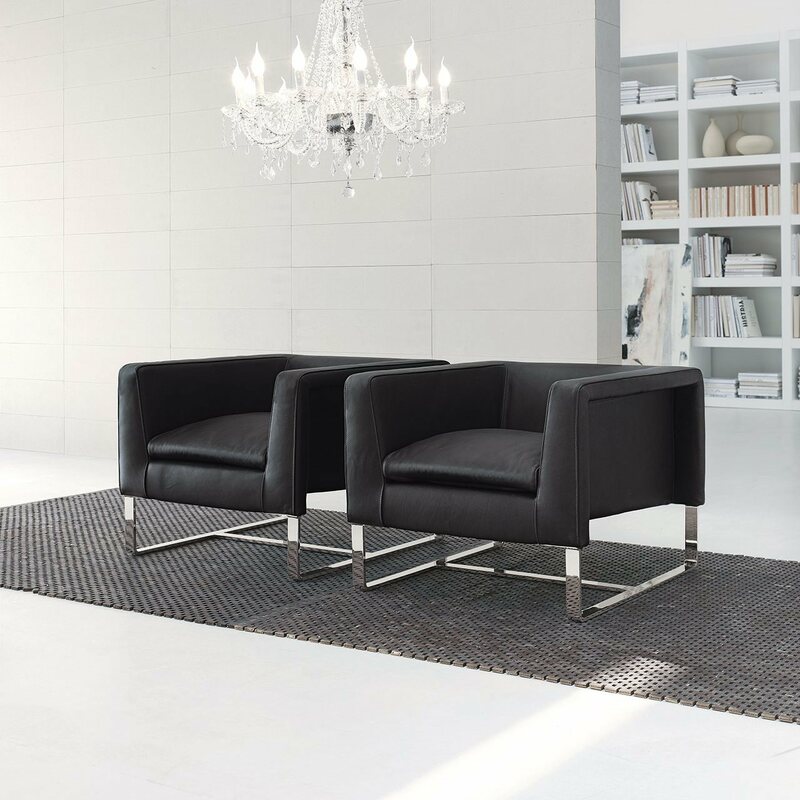 Club armchair is a range that features a very comfortable and original armchair together with a series of low tables of different sizes. 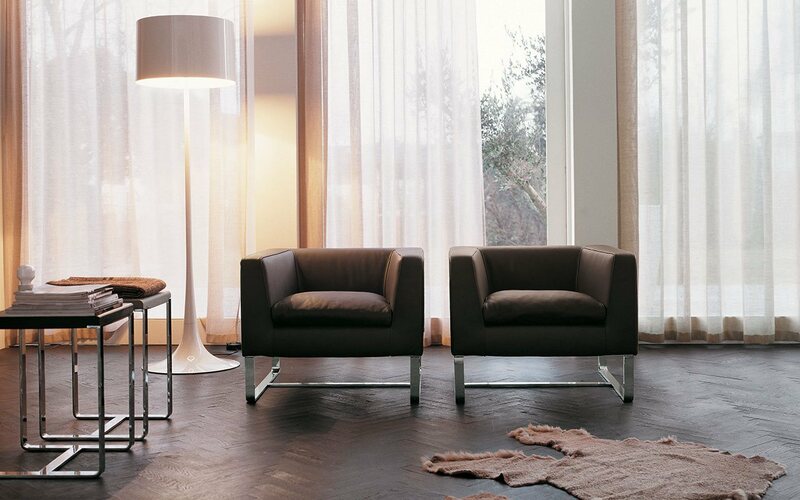 The armchair has a steel frame, while the covers are available in either leather or imitation leather of different colors. 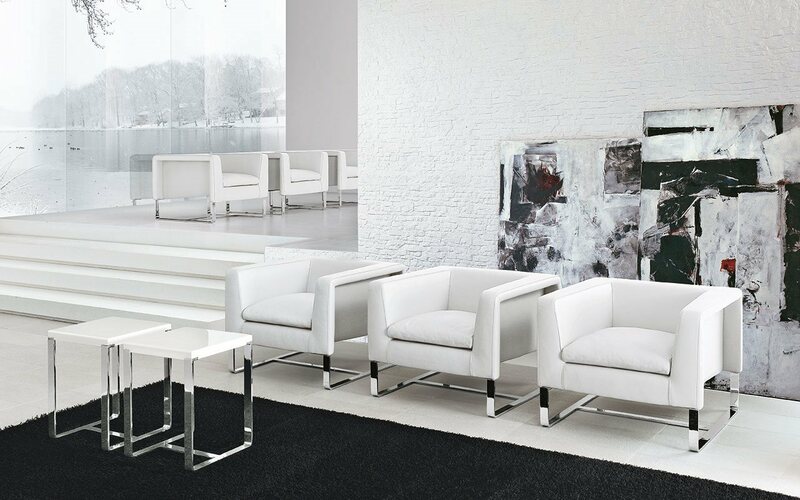 Club also has the advantage in that it can be easily combined with sofas of other ranges. By combining it with the new Daytona sofa for example it is possible to create a harmonious mix of form and colors in the living area. Both articles have in fact been designed so that they adapt to any environment. The tables follow this same design rule thanks to the their sleek and minimalist design which means that they can be easily adapted to any kind of living context.